Pliable corrugated (stainless steel) tube is a semi rigid gas pipe that has the ability to bend and mould to curvature required. 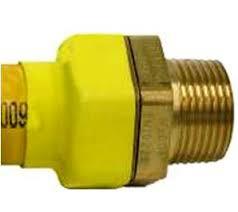 It is suitable for use in domestic, commercial and industrial applications. 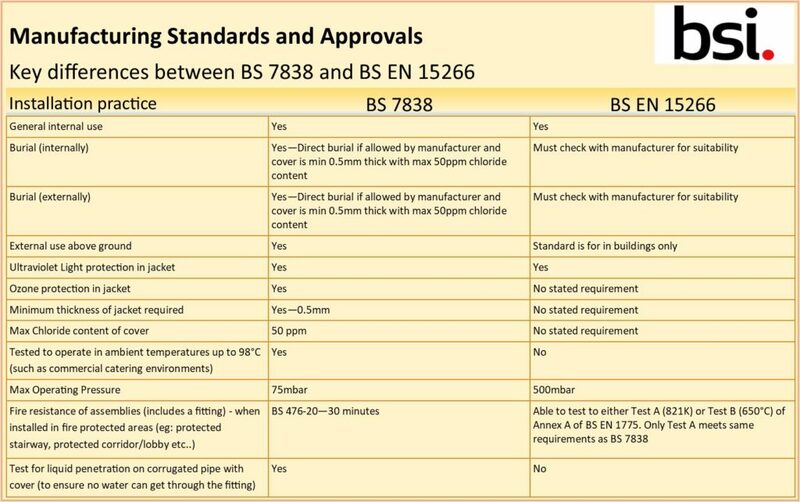 The system is Kitemarked approved to BS7838:1996 – Specification for corrugated stainless steel semi-rigid pipe and associated fittings for low-pressure gas pipework of up to DN 50 and BS EN 15266:2007 – Stainless steel pliable corrugated tubing kits in buildings for gas with an operating pressure up to 0,5 bar. Pliable corrugated (stainless steel) tubing can form to either a metal to metal seal or use elastomeric seals. No special tools are required: a wheeled tube cutter with a stainless steel wheel, a utility knife and correctly sized spanners. The use of jointing compounds between the metal to metal sealing face is prohibited. After the gas tightness test – care must be taken after pressure test to ensure that no stainless steel pipe is visible. 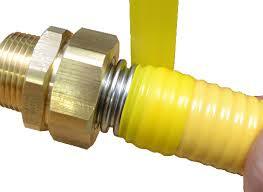 Any portions of exposed stainless steel behind the fitting nut shall be wrapped with self-amalgamating silicone tape. Pliable corrugated (stainless steel) tubing still needs to be sleeved where it passes through walls or solid floors. Support intervals are similar to rigid pipe materials and the manufacturer will stipulate the maximum intervals within their installation instructions. Pliable corrugated (stainless steel) tubing for direct burial must have a minimum 0.5mm outer cover that has a maximum chloride content of 50ppm. Fittings need to remain accessible and should not be buried or conceals within the fabric of the building. 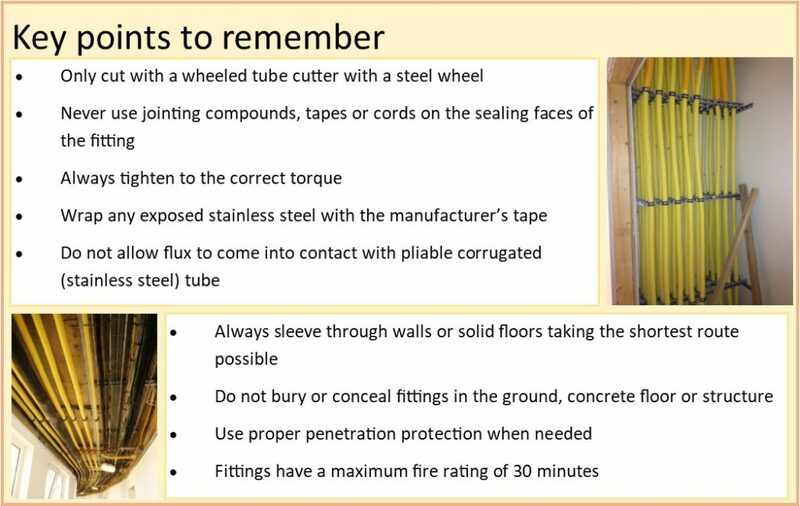 Note: Pliable corrugated (stainless steel) tubing manufactured to BS7838 meets Fire Test A. 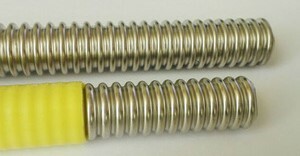 For pliable corrugated tubing manufactured to BS EN 15266 the manufacturer should be consulted. The advantages of pliable corrugated (stainless steel) tubing – installs faster, easier and safer!